Long gone are the days of intense humidity and heat here in Missouri (thank goodness). Most of us are probably welcoming the cool breezes and fall rainstorms with open arms, but this chillier weather isn’t just for snuggling up on the couch. With an optimized patio, you can still continue to use your patio during the fall just as much as you did during the summer. 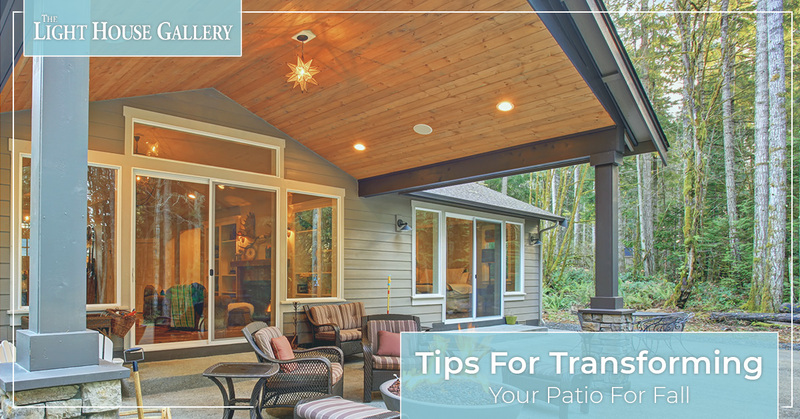 In this blog post, we’ll provide you with some tips on how to successfully transform your patio for fall use — and don’t worry, we don’t sacrifice the coziness so many of us associate with this season. Are you in the market for some new outdoor lighting or home decor accents for fall? Our lighting stores in Branson and Springfield have you covered. 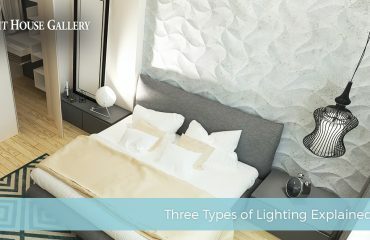 At The Light House Gallery, we have a large selection of lighting products and our lighting experts can connect you with solutions that match your style and budget. Visit one of our lighting stores today, and don’t be afraid to contact us for more information. Continue reading for more tips on transforming your patio for the fall weather! Fall time has two major holidays that people love decorating for — first, there’s Halloween, where people put out carved pumpkins and spider webs, then Thanksgiving follows shortly thereafter, where people load up on turkey decorations that follow a general theme of thankfulness. Load up on decorations for these holidays as well as general fall decor, which includes items with color hues of deep reds, oranges and yellows. 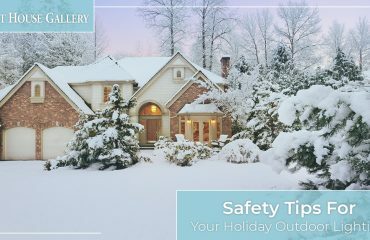 When you add these holiday-themed decorations to your outdoor spaces, you’ll find it’s easier to get into the holiday spirit! A simple way to upgrade your existing outdoor furniture is to add cushioning to it. For example, decorative outdoor pillows are great to add to any chairs or benches on your patio. Just make sure any cushioning you choose is water-proof and weather resistant. Also, if you don’t currently own any outdoor furniture, now is as great of a time as any to purchase some pieces — specifically seating and table options. You’ll appreciate purchasing this outdoor furniture now, as you’ll save yourself the stress of having to purchase them during the summer when everyone else is trying to do the same exact thing. Why read a book indoors when you can snuggle up and enjoy the outdoors before the brutal winter weather hits? Find all sorts of blankets and outdoor attire that will make your patio seem more appealing when the weather is in the mid-50s to 60s. Trust us — there’s nothing better than breathing in the fresh autumn air while relaxing on your patio. Whether you decide to update your current outdoor wall lights, add an elegant outdoor chandelier to your patio or simply hang up some dainty string lights, optimizing your outdoor lighting will make a world of difference when you spend time on your patio. Choose lighting that is functional, adjustable and beautiful. You can also take advantage of any authentic lighting from fires if you have an outdoor fireplace or fire pit. Fireplaces and pits make for phenomenal gathering points in your backyard or on your patio for when you have large groups of guests to kick back and relax with. For additional tips, check out how to choose the right outdoor lighting for your patio in this blog post. If you’ve been thinking about optimizing your outdoor spaces so you can enjoy the cool fall weather and the changing of the leaves, don’t forget about your outdoor lighting solutions. 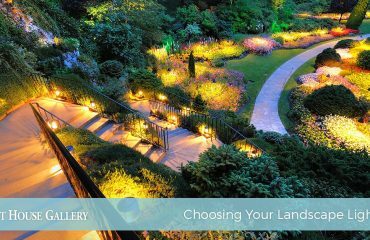 At The Light House Gallery, our lighting store has the region’s largest selection of lighting products as well as the best variety, and our lighting experts can help connect you with ideal outdoor lighting fixtures for your patio. Transform your outdoor spaces today with great lighting. For additional information about our selection of lighting products or to speak with an experienced lighting consultant, visit our Branson or Springfield lighting store today. You can also reach out to our team by completing our online form, calling (417) 268-9444 for our Springfield showroom or (417) 213-5312 for our Branson showroom.